Guilford Guitars IS a custom shop. Many customers have ordered the guitar of their dreams and some have only wanted a few changes from the stock models. Whatever you want, chances are, we can do it at a price and time frame that will surprise you! 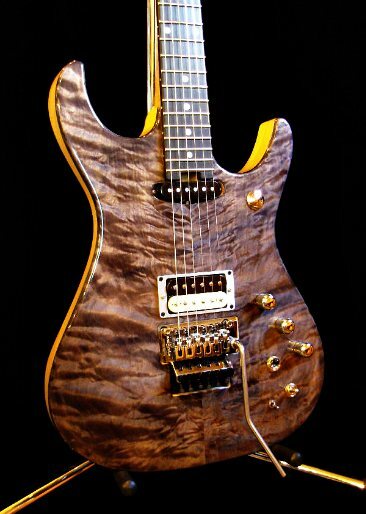 Guilford Guitars recently partnered with Steve Blaze of Lillian Axe and Major Henril Cecil to produce a tribute guitar for the US Airforce NATC-A nine who were killed on April 27, 2011. It is being used to promote awareness and to accept donations for the families of the fallen Airmen and will eventually be raffled on Memorial Day this year. The guitar features an actual Airman jacket worn by Major Henry Cecil during his tour in Afghanistan last year. Major Henry Cecil knew three of the fallen personally. He felt compelled to do whatever he could to help the 32 children who lost a parent that day and we trust you will do the same. We are honored to have his friendship and have enjoyed the collaboration process during this very special build. Glenn Burgos ordered a fine custom Crown. He wanted his bands' logo inlaid on the neck and he LOVED the result! 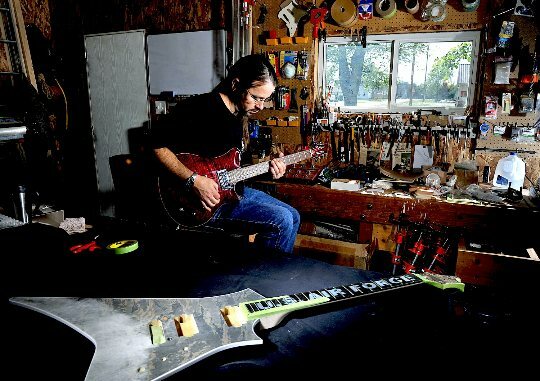 Ben Cardon is the proud owner of a full custom Guilford Guitar. His inlay is very close to the heart and his guitar was wired for Piezo and Magnetic pickups for a wide variety of sounds. A custom one-off guitar proudly made for John 5. 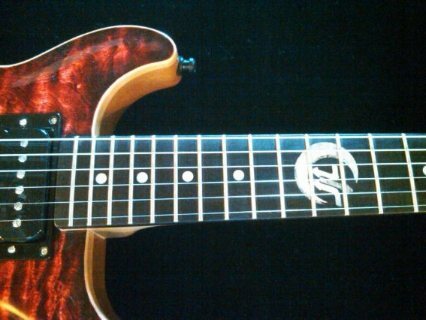 Why not get a custom guitar of your own from us?